Northwest National Real Estate: NEW LISTING! Big Hole Valley Business Bar & Restaurant Wise River, Montana! NEW LISTING! 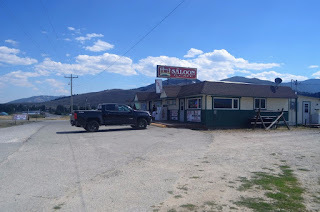 Big Hole Valley Business Bar & Restaurant Wise River, Montana! The H Bar J Saloon and Cafe in Wise River, Montana, is located in the heart of the Big Hole Valley and is officially for sale. This 8.53 acre property sits at the intersection of Highway 43 and the Pioneer Mountain Scenic Byway. So expect great exposure. There are 7 RV hookups, 3 rental cabins, 2 trailer rentals, bathhouse with bathroom, laundry, and restrooms for all your guests. Cafe and bar has been completely renovated and has new restaurant equipment. The area is well known for hunting and fishing. Big Hole River, Wise River, Missouri River, Georgetown Lake and more surround this area. Here is your opportunity to work and play in the Big Sky Country! Listed for $475,000.